Beauty Rituals Bedford welcomes you to a wide range of Beauty Therapy treatments from the Environ Ionzyme Facials to CACI Microdermabrasion, Spa Massages, Sports, Deep Tissue and Hot Stone Massage in your own private Ritual Room, designed for privacy and tranquillity. 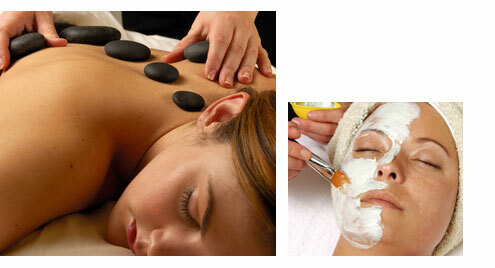 ItÂ’s where you can enjoy relaxing therapies to balance, face, body and soul. Caring for you from the outside in and inside out. ItÂ’s as simple as Â“when you look good, you feel greatÂ”. The Â‘je ne sais quoiÂ’ puts the spring in your step and the twinkle in your eye. Cocoon yourself away from the harshness of the world, in the heart of your very own Ritual Room Â… located close to Bedford Town Centre, Bedfordshire making it convenient for parking. Brazilian waxing exclusively available in Bedford only at Beauty Rituals. Hot waxing is a quick and efficient waxing technique, that grips and shrink-wraps short hair for easy, effective and long lasting results. By using the highest quality wax by Lycon and specialist waxing techniques it will not pull on the skin when itÂ’s removed out. This makes the entire process practically painless, which makes Beauty Rituals the No 1 choice for all intimate waxing from the Bikini, Brazilians, Hollywood and Facial waxing. Electrolysis, is the only medically approved method of Permanent Hair Removal (approved by the British Medical Association). We offer an advanced form of Electrolysis for the removal of hair which normally accompanies laser hair removal for treatments to lighter hair. Gel nail Polish By O.P.I Axxium is a semi-permanent Manicure for natural nails which can be soaked off with no damage to the natural nail and lasts up to 21 days.